The following is a review provided to us by TTG reader, Doug, who recently jumped on board Twigby. Since we have never written about them before at the site, I asked Doug if he’d chime in about his experience. Thanks Doug! If you ever have a product that you’d like to review at the site (and we haven’t covered it yet) – please shoot us a note. This past April I finally decided to switch phone carriers. I just couldn’t take paying for what I knew was more than we needed. Many of my friends could not believe I was going to switch to an “unknown” carrier. Thankfully sites like three frugal guys  are around to help educate! Twigby is offering new customers 25% off their first six months when signing up for a cell phone plan. I went with Twigby for a couple of reasons. First and foremost – COVERAGE IS KING!!! Twigby uses both Sprint and Verizon. This is what closed the deal for me. I assumed all of these carriers have their gimmicks, yet Twigby really seemed to have their act together. My number ported easily to a phone I already had (what a plus to not have to buy a phone). And they even gave me a free month!! Now that I have had it for a while, my friends cannot believe how little I pay. 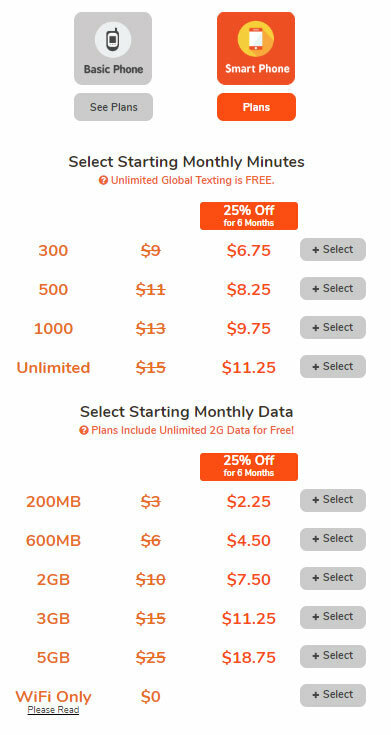 I get unlimited texts, 500 minutes and 500MB for $17 a month. I use Wi-Fi almost exclusively and within my account settings I could choose the speed I want my 500MB a month to be at. I slowed it up just a bit, and now happy to report it works as they said it would. When I’m away from Wi-Fi, I is still use my data, and have (as of today) more than enough MB’s to finish my month. I may actually speed it up next month and see if I get closer to using up my allotment. They also offer what they call Overage Protection for FREE. They give you the reins to not allow your service to move up. I really like this. I was skeptical of a “Chat Only” contact method. Again I was wrong. Seems I get my questions answered quicker that when I would have to WAIT on HOLD forEVER before. When I tried contacting Tello, they just did not seem too bright. Not sure if they were a newbie or not. Seemed I knew more about their service. Not good. Just check out their reviews. PC mag just put them in front of Tello as well. Guess I’m not the only one that sees it. I’m so sold on Twigby that I switched my wife (she just wanted another flip phone – Yes they have flip phones and it was under 20 Bucks). She is OLD SCHOOL and did not want to switch. She got the rugged flip phone and she hates to admit it, but she loves it. The speakerphone volume, and that it is waterproof, is a plus. She is now not as leery to have her phone near the pool. I keep telling all my friends about Twigby. They are people, not money grubbers. And there are no contracts, or junk activation fees. And they shipped both phones for free. What’s not to love about not having a contract!!! I’m saving the best part for last. They also PAY their customers to recruit for them. For each of my friends that I refer, I get a $10 credit. My friends also get the 10 buck credit. This is huge. I have them lined up!!! If you are ready to save big and get better service – in my opinion – (for what it is worth :) you need to check out Twigby. The coverage. two networks are always better than one! The prices. One phones and plans. Create what you need. My daughter likes that she can monitor my grandaughter’s use from the Twigby app. No contracts or activation junk fees. No monthy charge just to have service. Referral credits. $10 for every referral is the best I’ve seen in prepaid. And my friends even get $10. Data packages cap out at 4gb. It looks to stay unlimited, but at a slower speed. Don’t think it will be an issue for me. Have to pay more to get the latest phones since it is prepaid. But seem to make it back on plan price. Credit or debit card only. No cash payments. 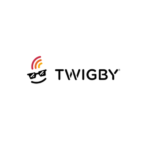 Have you heard of Twigby or are you currently using their service? What are your thoughts? TTG may receive commission on sales made through the links on this post – at no cost to you. Thank you for helping to support the site. Should You Take Dividends From Your Investments? When I signed up I ordered a Samsung S7. After waiting for over a month, I contacted them and they said they were out. Notice, they never contacted me about it. I had to contact them. So they offered me an S7 Gold and I said fine. Two weeks later it showed up. However, we lost Sprint service twice in the last 9 months. First time was for 3 days, and last time was for 5 days. Twigby was totally useless. Their chat is useless. It’s only available during short business hours and their staff is just stupid. This was an area wide outage and they had nothing to say. Not even an apology. There is NO phone number. There is email and they did respond in 24 hours, however they didn’t even address the situation of being down for (at the time) 3 days. After 5 days of zero service, I canceled the service. THEY COULDN’T HAVE CARED LESS. I know Sprint being down in the area is not their fault, but they said they also supported Verizon. So after 1-2 days down for everyone in our area, why didn’t they just switch everyone over to Verizon which was working in our area? Seems the least they could have done. Also this is was at Christmas time, one of the most critical times to have reliable service. Also this was the 2nd time in 9 months for an extended loss of service. Plans/Price gets an A, service gets a D, and support gets an F.
Super disappointed with them. I referred several people to their website (no commission, I was happy to send people there) but the total lack of compassion for their customers and ZERO phone support just killed the deal for me. Could not disagree more. I’ve had better customer service with twigby. The ATT store I would go to was no help and their customer service was overseas. We have two phones with them. One for me and my husband. Two smartphones. We are retired and the price is hard to beat. Changed over to Twigby over a year ago. Completely satisfied I am always in coverage for phone or text. As far as data goes if I take a few pictures it’s not an emergency that they go up to my photo service immediately. When I get back to wi-fi they can go up then. I understood when I went with Twigby that you can’t pick and choose which network and when. The price is really reasonable. If you need all the bells and whistles all the time, everywhere you go you should probably pay the larger amount and go with Verizon etc. If you’ve got more time than you’ve got money like me then finding this service was a blessing. I switched from being a Republic Wireless user to Twigby. I have regretted it ever since. 1. You CANNOT talk via wifi and for me, I am in a wifi environment which has poor cell signal and I can’t talk on my phone. My cell is my home phone, so this is a huge problem. Turns out the verizon cell tower is only activated “when the Sprint tower is non-existent.” For me, I have one bar through Sprint, and cannot talk through wi-fi, so I basically can’t use my phone. 2. Texts don’t always go or come through. 3. The live chat is rude and unhelpful. Do not feel valued at all. Is there an app required like Unreal Mobile? I don’t want that. I don’t want VOIP. Hi Michelle. According to Twigby, there is no app required to use the service. They don’t require an app altho they have one. Beware – if you get a new iPhone Xr from Apple, the Twigby data will not work with it. Although Twigby blames this on Sprint, Sprint denies any problem. Twigby’s customer representatives are not prepared to answer questions other than the normal ones. If a customer disagrees with them, they can get testy and rude. I would not recommend the service. I use Cricket and I am thinking of switching to Twigby. Is there roaming fees? Hi Danae – According to their website, “We give our customers the option to stop any and all overage charges, do not charge for roaming, and choose to not charge an unnecessary activation fee like most companies do.” Let us know how it works out for you if you make the switch! I have used Twigby for several years and have been generally pleased. It is true that when the Sprint Network is unavailable service switches to the Verizon network, but it is NOT the same Verizon network that Verizon subscribers have access to. Twigby does not tell you this but when I questioned why my Twigby phone did not work in a semi-remote area and my Verizon phone did (I have two phones), they admitted that Twigby does not have access to the entire Verizon network. I still use Twigby but if you are in a semi-remote area you may not have service. Thanks for sharing your experience with Twigby, Gary. Was in my final month of a Sprint BYOD promotion offering FREE service for a year (which actually cost me about $3 and change monthly for taxes). The best Sprint could or would do to keep me was $50/month for unlimited across the board. I found Twigby, saw the coverages, saw the pricing, read the reviews, and brought my phone over. While it’s only been about a week, I see NO difference in performance. The transition was seamless. Was all ready to sign up with Twigby, but contacted them first to find out if we can receive US text messages outside the US. Nope. Too bad. Hopefully, this will be available soon. I am contemplating switching my service from Straight Talk to Twigby. Initially I purchased an Apple iphone thru Verizon and eventually switched my service to Straight Talk using my same phone and number. #1 If I go outside of the Sprint area I will be able to talk and text thru Verizon correct? #2 However, if I am out of the Sprint area I would not have any data coverage is that correct? Hi Julie. In answer to your questions, #1, yes, you’ll have access to talk/text but #2 you won’t have data when outside of Sprint area. I’d check with Twigby support for question #3. Please let us know how it goes if you make the switch! They did it again. Twigby just added more data to their plans. DId you see that? Twigby has switched to Sprint-only service, no Verizon. I used your review to make my decision and now cannot get a refund on my service. Twigby customers have access to two of the largest nationwide networks covering over 270 million people. Twigby primarily operates on the Sprint network for talk, text and data. Twigby customers must live within adequate Sprint coverage. However, if a customer ever finds themselves outside Sprint coverage, customers can also use the Verizon network for talk and text. If you are outside of Sprint coverage, this switch-over will happen automatically and requires no action on your part. They would absolutely NOT allow me to switch to Verizon, even though Sprint coverage in my area is dismal. Nor would they give me a refund. This is Marco. I work for Twigby. Three Thrifty Guys reached out to us on your concern. Twigby customers have access to two of the largest nationwide networks covering over 270 million people. Twigby primarily operates on the Sprint network for talk, text and data. Twigby customers must live within adequate Sprint coverage. However, if a customer ever finds themselves outside Sprint coverage, customers can also use the Verizon network for talk and text at no additional charge. If you are outside of Sprint coverage, this switch-over will happen automatically and requires no action on your part. Agree completely! I did the same, and now am very disappointed. I purchased my Samsung Galaxy through Twigby, and sadly it does not seem to quality as a transfer phone back to my original carrier who I much preferred. I see you say that they have a data cap at 4GB. I found on there site that they actually offer unlimited 2G data with all data plans. So High speed maybe capped but not data. You may want to reword. We love twigby. Had the cut rate carrier tello before. Just not good coverage. our tello phones worked with twigby also. pay a couple bucks more but soo worth it! We also bought to iphones for our kids. total bill is right at $76 for 4 lines. Excellent – thanks for sharing your experience, Greg. You should inform everyone that Twigby primarily operates on the Sprint network for talk, text and data. 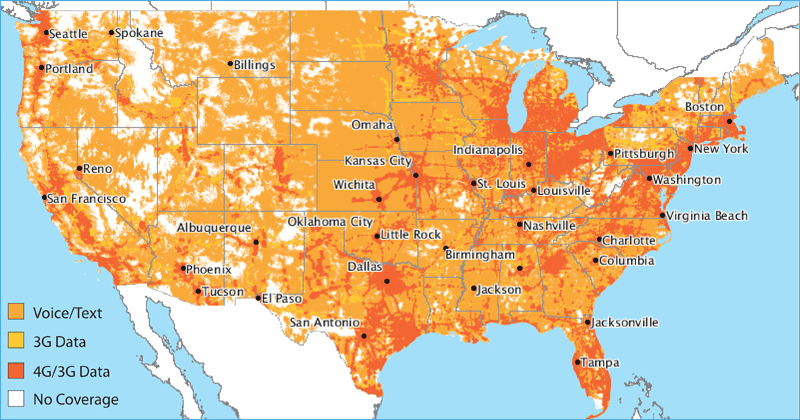 Twigby customers must live within adequate Sprint coverage. However, if a customer ever finds themselves outside Sprint coverage, customers can also use the Verizon network for talk and text. If you are outside of Sprint coverage, this switch-over will happen automatically and requires no action on your part. So if a customer is out of Sprint coverage he won’t have data. Thanks for the information Jose! Hi Ronny. The phones are quite affordable ranging from $24 to $314. Some are certified used (like the iPhone they have available). Prices on phones are slashed right now + you can get 50% off the plans for your first two months as well. Sounds like you can port over prepaid numbers as well – so that’s a bonus. Check out their “bring your own phone” section for more details. Let us know how you like em if you switch! We apologize for the inconvenience, but we are unable to process your order. The order does not meet the requirements of our order security policy. We have cancelled the order and the pending payment authorization with your financial institution. Please contact your bank if you have questions regarding the availability of funds. Hi Eli. I would contact their billing department to see what could be the matter. They can be reached at billing@twigby.com and are sure to respond promptly. Best. Thank you for this article. We have known we were paying to much with Sprint. There 50% off deal and free christmas shipping also help me stretch our xmas budget. I was nervous about losing our numbers. had them for as long as I can remember. No issues. Love twigby. Glad you were able to save some Kurt! Love to hear more about your experience as you use them. Can you tell me how Twigby uses both Sprint and Verizon towers? Does it always go to the strongest signal? Also if you are driving and you are connected to a Sprint Tower will it hand off to a Verizon Tower while driving/talking if the Sprint connection gets weak? Thanks! Twigby primarily operates on the Sprint network for talk, text and data. Twigby customers must live within adequate Sprint coverage. However, if a customer ever finds themselves outside Sprint coverage, customers can also use the Verizon network for talk and text. If you are outside of Sprint coverage, this switch-over will happen automatically and requires no action on your part. Thanks. I’m a bit torn between Tello and Twigby. 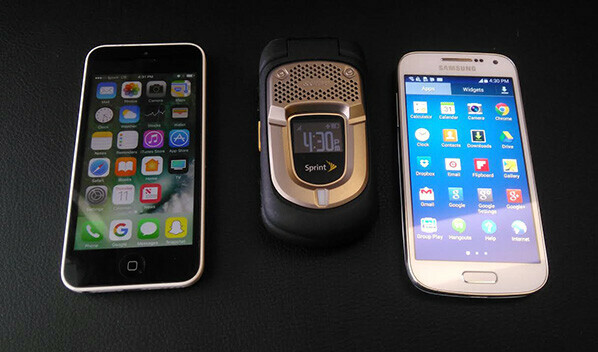 Wondering if the Verizon talk/text backup feature tips the scales in Twigby’s favor..
Hi Aaron, With your advice we switched our 3 Smartphones from Sprint to Twigby and look forward to saving a healthy amount. The only drawback I’ve found so far is that the Voicemail App on our Samsung phones no longer work (they were Sprint based I believe). Twigby does have their own voicemail which we configured but it does not tell you when you have messages waiting, nor does it show the number that left a voicemail. I was wondering if you or your readers can recommend a voicemail app that is compatible with Twigby? The team at 3 thrifty guys sent us your question. We have confirmed that all of the Sprint Galaxy S7 have visual voicemail. However, there are a couple of steps that must be completed in order to set it up. You may or may not have accidentally bypassed these at the beginning. See this link on set up for Visual Voicemail in Galaxy S7. Thank you for your question and for being a Twigby Customer! Thanks for responding. This is the exact Visual Voicemail App we used when we had Sprint. It stopped working when we switched to Twigby. I’m not seeing anything new in these instructions. Is there something that needs to be done after switching to Twigby? We have had twigby for 6 months for our son. Works so well, we just switch our other two lines over. Get half off for two months and great new phones. Thanks for sharing. Excellent. Love to hear your thoughts on the service after you’ve had a chance to check it out. I switched to Twigby from Straightalk a couple of months ago and it’s been awesome! Easy to use, quick responses on the chat, super cheap and the service is fine. The website is very clean and straightforward. Never use straight talk! Is there an average cost of taxes and fees? Does this up the bill by very much? I am in Indiana. Hi Deborah. They are fairly nominal and align with most other carrier taxes / fees. They also depend on where you live too. Twigby says on their FAQ page: “surcharges may range from 1.3% to 3% of your monthly charges”. Hope this helps. Mine are only $2.12 a month. I really like what I pay for twigby. works well for us. Be wary of customer service with Twigby! I was really disappointed that there is no way to talk to a human at the company. They only offer support by chat, email, or postal mail (yes, seriously, their site says to send in questions by mail and gives the address on their contact page (https://twigby.zendesk.com/hc/en-us/articles/115007924508-Other-ways-to-contact-Twigby). I used chat support multiple times, and it was not good at all. I would guess that if everything went smoothly on your account this would not be an issue, but in my first two days with them I had two different problems. My number didn’t port successfully first, which they were able to resolve. Then when I contacted them for more help on day 2 for a different issue (by chat) I got no help and was told a ticket would need to be opened with a different team. I was instructed to contact them the next day (a Friday) for an update. When I reached them by chat to follow up I was told there was no update and they had no clue whether my problem could be resolved or not. Luckily I am not out any money at this point because of their free first month. I have already started the port of my number back to my previous provider. What a frustrating waste of my time. We’re very sorry to hear about your experience and we are disappointed with how things have started for you since switching to Twigby. This is not normal! We take customer support very seriously and have already escalated your remarks to the appropriate divisions since your posting. If you can, please send an email to billing@twigby.com and we will work to rectify all of your issues directly with you. As for our support systems – we have chosen to offer online chat exclusively as it helps us maintain great efficiency when handling multiple customers at all times throughout the day, as well as enabling us to help keep costs low to pass savings onto our customers! Thankfully, our support usually gets pretty great remarks, but we welcome to hear about anytime we could be doing better and greatly appreciate you lifting this up so that we can get better. I just switched to Twigby from Ting and Freedompop (2 lines). Ting has nice service, but its pricing schedule is no longer competitive. Freedompop boasts free plans, but there are many hidden charges, and software is not reliable. Plus their support line is bad. I have had no issues for the two short weeks with Twigby. Online chat was really helpful, no hidden charges, and phone worked 100% time. As happy as I can so far. I haven’t heard of Twigby before, so thanks for featuring them. I LOVE that they also can use Verizon’s towers. I have Google Fiber, which is good, but I do miss the coverage of Verizon’s network. Would be interested to hear more about your experience with Google Fiber.